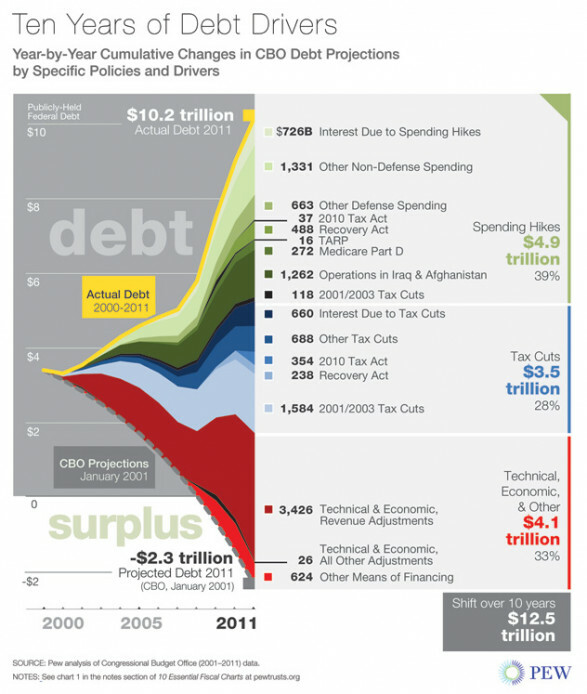 The Pew Charitable Trusts published this handsome infographic earlier this month showing ten years of US debt drivers. Interestingly, there is pretty much a 1/3 of a split between all the causes of debt: spending hikes, tax cuts and economic adjustments, that is less revenue due to the 2008 financial crisis. Ten Years of Debt Drivers infographic by epotler.